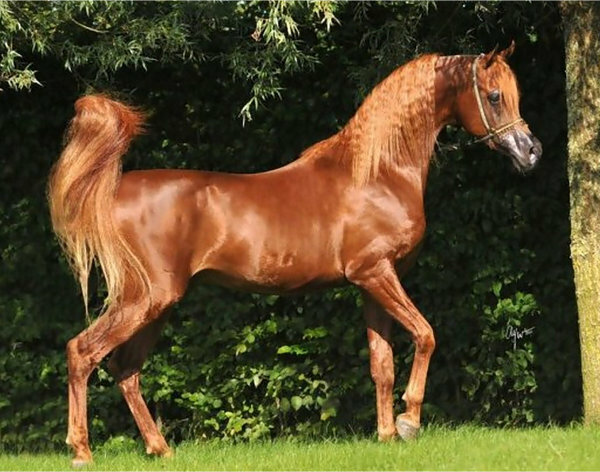 The Arab horse is one of the oldest and most beautiful horse breeds. 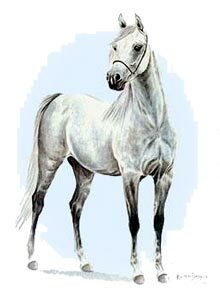 It’s original breeding is unknown but it appears the Arabian horse has lived on the Arabian Peninsula since 3000 years BC. No other breed has exerted as much influence on todays horses. The Arab Horse’s desert origins mean they are well adapted to harsh conditions with excellent endurance, soundness and the ability to thrive on meagre rations. They tell many romantic tales of the Arabian’s beginnings. One legend claims God fashioned the deserts south wind into a creature who "shall fly without wings". No matter how the Arab Horse Breed came to the desert, Bedouins took them as prized members of their households. Individual horses were selected for their gentle affectionate nature, their striking looks and proud spirit. Modern uses for the Arabian include riding, showing, endurance and racing. 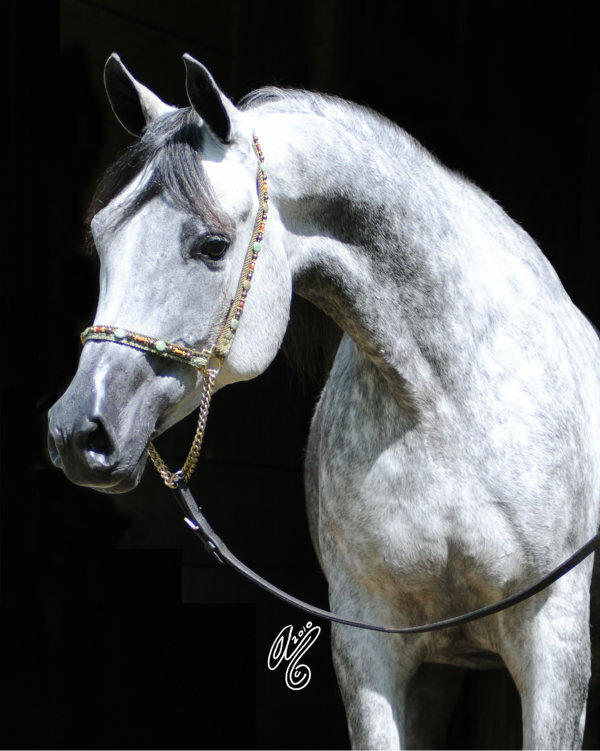 The Arabian’s head has a characteristic dished profile with a prominent eye, large nostrils and small teacup muzzle. The gracefully arched neck rises out of a long sloping shoulder, broad chest and deep body with a short back, hard clean limbs, hard well-shaped feet, fine mane and tail and high tail carriage completing the picture. 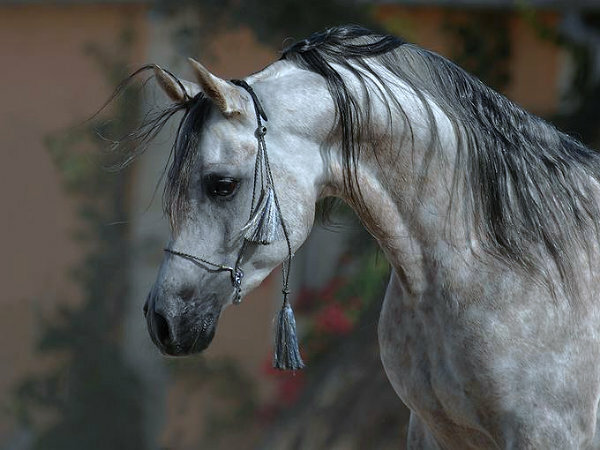 Arabians come in grey, chestnut, bay and roan and an occasional solid black. Although some individuals will vary, most are between 14.2hh and 15.2hh and weigh between 800 and 1,000 pounds. The Arab horse was bred to withstand long treks across the desert and the tribal wars which sometimes followed such trips. The Bedouins bred the Arab horse to have the strength, courage and stamina required for survival, and for the speed and responsiveness needed to win in battle. When Europeans sought to improve their own saddle horses the Arab horse was imported to cross with native strains. The standard procedure was to use purebred Arabians, especially stallions, to improve stock. in France, Germany, Spain, Poland, Hungary, and Russia. 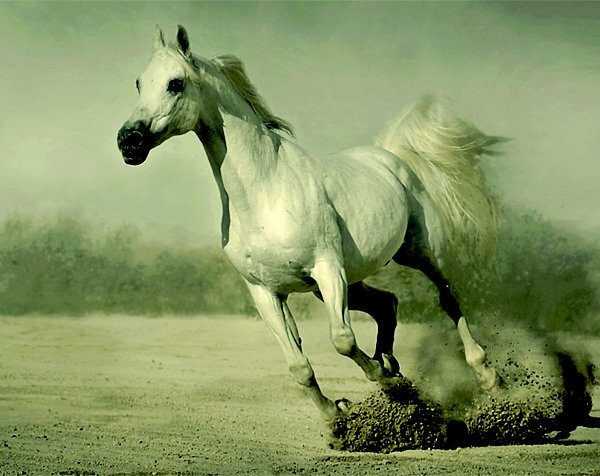 Today, the Arab horse is found throughout the world and the blood of Arabians flows in all breeds of light horses. Ancient Bedouin breeders were careful to record bloodlines and jealously guarded the purity of their Arabians. 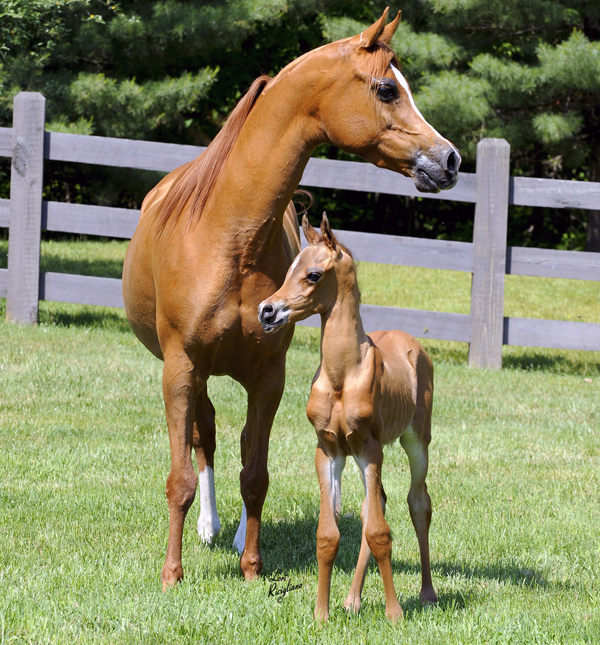 As a result, even though centuries have passed, today’s Arabian horse cannot be mistaken for any other breed. But the way buy valtrex over the counter you describe it I can almost taste..